“Ruth is an excellent tutor who goes above and beyond to help you with your work. Ruth was helping me throughout the writing my dissertation and she really helped me make my work a lot clearer. We worked at a pace that was right for me, were I was able to explain my ideas to her, and where she could offer suggestions as to how I could take my work to the next level. “Ruth is a highly skilled, grounded and articulate tutor, who helped me study for my PGCE. She quickly grasped the meaning of concepts that I was writing about, despite never having studied them herself, and helped me to plan, revise and reorder my work, so that it was more professional and academic. “My son needed someone to help him develop the skills that would allow him to plan and answer questions for his English GCSEs in an organised and structured manner. When searching for a tutor for him, my main priority was to find a competent person who would get on with him at a level in which he would feel comfortable to discuss problems without any awkwardness. Ruth was fantastic: from the very first visit she made him feel very relaxed, which made my son very comfortable and happy to work with her. My son not only developed planning and structuring skills for answering questions, but Ruth also helped him develop attention to detail in checking his answers for grammar, punctuation and also encouraged him to use a wider set of vocabulary in his writing. He attained A*s in English Language and English Literature. “Ruth gave me online help with preparation for my GCSE English and English Literature exams, specifically focusing on helping me to improve my analysis and essay writing skills. Her experience with other GCSE students and the content of the exams meant the lessons were extremely helpful. The lesson plans were flexible, which enabled us to focus on specific areas such as poetry analysis. “Ruth is an excellent tutor. She has helped my daughter begin to enjoy English and she has gone from being a grade C to a grade A student. “Ruth came to work with my son when he was in Year 9 right through to Year 11. After only a short time he jumped a whole level in literacy. She helped him to improve his reading ability, widen his vocabulary, improve his grammar, punctuation and comprehension, as well as his spelling. “I would have no hesitation in recommending Ruth as an 11+ tutor. My daughter really benefited from Ruth’s tuition and learnt so much. She looked forward to the sessions each week and was very comfortable with Ruth. She found her friendly and easy to talk to as well as to understand. It was amazing to see the progress she made. She struggled in the beginning with lots of areas; especially knowing how to plan a story, understanding the comprehension questions, writing succinctly and with her spelling. I was hesitant at first about the idea of using Skype but Ruth was very flexible and did the first couple of lessons at our house so they could get to know each other and then the online tuition never proved to be a problem. “When my daughter was preparing for her Year 7 entrance exams, we were mainly concerned that her speed in creative writing was slow, so Ruth worked with her for the last semester leading up to her exams. Ruth was friendly, organised and thoughtful in her approach and my daughter received some good pointers from her from the outset. With practice, my daughter was evidently more comfortable to complete her writing tasks (including long comprehension answers) within the time constraints. I was impressed with the quality of her writing, which kept on improving as Ruth gently prompted her to work on her areas of weakness. In order to make the most of the lessons, Ruth would sometimes mark my daughter’s work in her own time so that she can go through and comment on it during the session. Undoubtedly, my daughter enjoyed every session with Ruth – she always had a big smile on her face at the end of the lessons. In fact my daughter was very sad indeed when her time with Ruth came to an end! “I contacted Ruth approximately six weeks before my daughter was due to sit entrance exams for selective independent schools, after I had realised that she needed help with her comprehension and creative writing. With her help, my daughter was offered places at all schools with three academic scholarships. Ruth is an excellent English teacher and has a great rapport with children. She was enthusiastic and my daughter enjoyed the lessons to the point where she wanted to continue after her exams were over! Ruth arranged to meet with my daughter in person for the first lesson and then we continued via Skype. The Skype lessons had the advantage that lesson times could be arranged when convenient and homework marked in advance. There were a couple of occasions when we had connection problems but Ruth always made up the time at the next lesson and the benefits of having such a great teacher outweighed any disadvantages of Skype. “Our daughter was doing really well in literacy but as a result was left to get on with her writing in class and didn’t get the reassurance and encouragement she needed. She came home saying she hated it and got really nervous and stressed whenever she had to start writing any kind of story. When we decided to apply to City of London School for Girls and Forest School, we realised that she needed a tutor to supplement her work in school, first to get her writing at home again and then to work towards her writing under exam conditions. 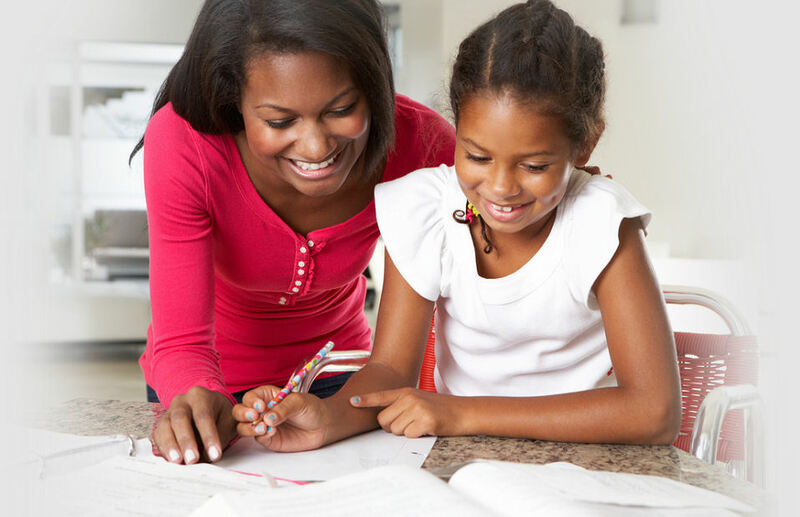 “Ruth tutored our daughter for nearly a year in preparation for the 11+ examinations. Her thorough planning for each lesson meant that the hour she spent with our daughter each week was time well spent. When she discovered areas that needed improving, she assigned the appropriate tasks adapted to our daughter’s ability. Ruth’s extensive experience as a tutor and her comprehensive understanding of the wide range of topics likely to be covered in an examination has made our daughter feel confident prior to the test date. Our daughter was also encouraged and stimulated by Ruth’s specialty in creative writing. As she was raised in London, Ruth was also able to share her personal thoughts on the different private schools and the subjects likely to be covered in the respective entry examinations. “We employed Ruth to tutor our 10-year-old daughter for several weeks before her 11+ Independent School entrance examinations. They spent the sessions concentrating primarily on comprehension technique and the development of creative writing. We were impressed with Ruth’s time keeping and professional attitude. Cara felt happy and comfortable with her and developed a huge amount of confidence in her creative writing ability. “Ruth was fantastic in preparing my kids for entrance exams. My daughter applied for Year 10 entry and my son for Year 9 at several schools. We had online Skype lessons with her. Her classes and teaching methods were really great and she explained everything in detail to them. “Ruth started teaching my son English when he was in Year 5. He jumped from level 4c to 6a in just one year. My son made remarkable progress and without Ruth’s dedication and hard work this would not have been possible in such a short period. “Ruth worked with our son for a year before he took the Year 7 entrance exams. She helped him plan essays, use correct grammar and punctuation and widen both his vocabulary and his approach to comprehension exercises. She was particularly impressive at this latter subject. Our son’s English improved in every area and he passed his exams in more than one school. “My daughter was a home learner and studying the English IGCSE course by herself. When the exams came closer we decided that she needed some professional help and chose Ruth because of her credentials. “Ruth is a practical, well-organised and personable tutor. She developed a good rapport with our daughter, who was in Year 11, while making sure there was an excellent structure to her programme of study. “I am continually impressed by the excellent service that Ruth provides. She has helped me on a number of occasions. During my transition to a new role in a corporate environment, Ruth provided me with support by enhancing my business writing skills. I gained confidence in my written correspondence and grammar enabling me to communicate more effectively.